This article is brought to you in partnership with Mocko Consulting. That’s the comparison small business software consultant Lidi Mocko makes for many of her clients who could use some help keeping their customers, schedules, accounting and marketing systems organized. Most of them have all of the information somewhere – in various emails, computer files, spreadsheets or even on paper – but like the stuff in the messy closet, it’s not always easy to find or use when they need it. Lidi, who has a bachelor’s degree in computer science and an MBA, knew there were lots of easy-to-use software options out there that could help small business owners like this. (Many of them were even free!) But she also saw how busy owners were keeping their companies going day-to-day. The small business owners she met “were overwhelmed. They’re not wired to understand software and don’t have time to research it,” she said. She believed she could help, and founded Mocko Consulting in 2014. This subject is so important in Lidi’s eyes that it’s the first topic she covers in her YouTube reviews and tutorials. She says she meets many owners who tell her their business is so simple that they can keep track of everything on an Excel spreadsheet. Some of her favorites include QuickBooks Online, Xero, Wave and FreshBooks. Most cost just a few dollars a month for the most basic accounts, and Wave is actually free. Their features vary, but include options like taking smartphone photos of your receipts and translating them to expenses, or generating invoices clients can pay online, or even time tracking and administering payroll. A CRM allows you to create detailed records that go way beyond contact information. You can include data like when and where you met a person, who they’re connected to, what, when and whether they’ve ever purchased from you and what your last communication was. CRMs then connect with your email marketing program, which helps you target your emails to specific groups of people – say past customers vs. potential customers, or customers in a certain geographic area or a particular industry. Insightly and Hubspot are two of her favorite free options. (In fact, she used the free version of Insightly for her own business for the first two years). “Just pick one, and get going!” Lidi advises. She added that it’s easy to export your data if you ever want to switch systems, but getting the most out of the system depends on your commitment to it. Sending professional-looking email newsletters and promotions is much easier with software that offers pre-designed templates ready to be viewed on any sized screen. Lidi likes the free version of MailChimp, which can integrate with your online store, your website, and many CRM systems, including Insightly. Lidi recalls one small business she worked with where the office admin was tracking sales, shipments and calls with a paper system and relied heavily on Post-It notes. The admin was resisting the office’s new system, but after much conversation, Lidi discovered she was frustrated by the lack of time-stamps on the sticky notes. It was the opening Lidi needed to get her on board with the new software. Another client had a lot of contacts to enter into a new CRM system because the old software her organization used was being discontinued. The client was initially dragging her feet about scheduling meetings, but Lidi persisted and showed her how much easier it would be to track and communicate with contacts once they were in the system. Lidi’s there for you. You can request a free discovery meeting through her website and tell her all about the tech problems that plague your business. It’s really quite a therapeutic experience! She also teaches workshops in the Denver area and puts a lot of emphasis on education in both her classes and one-on-one meetings. She’s even concocted some pretty impressive ways to teach techie stuff to long-distance clients. 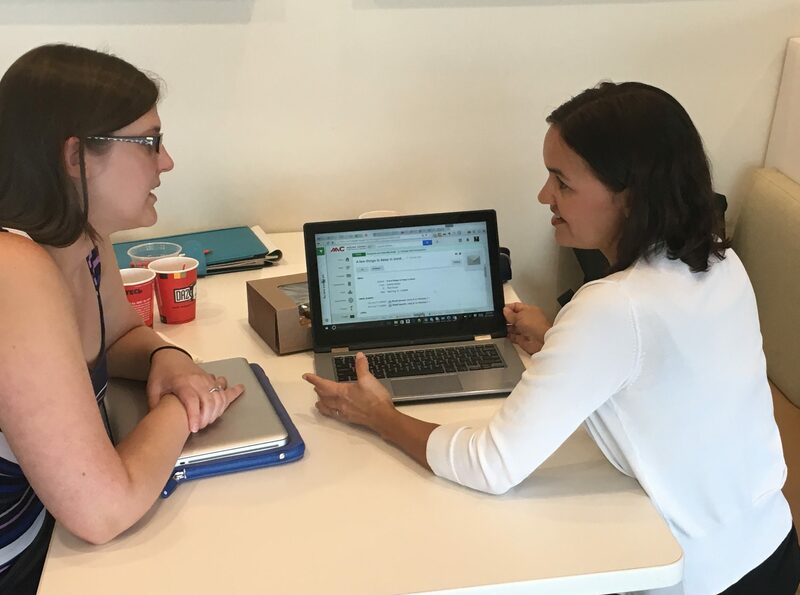 And – Lidi’s always working to stay on top of new products and software solutions, not only for her clients, but for her own small business. RELATED: Lidi immigrated to the United States alone at age 27, determined to put her computer science degree to good use. Read the story of how she founded Mocko Consulting. TELL US: Is there an administrative task you spend a lot of time and energy keeping up with for your business? Maybe you’ve wondered if there’s an app for that? Tell us about it in the comments section!